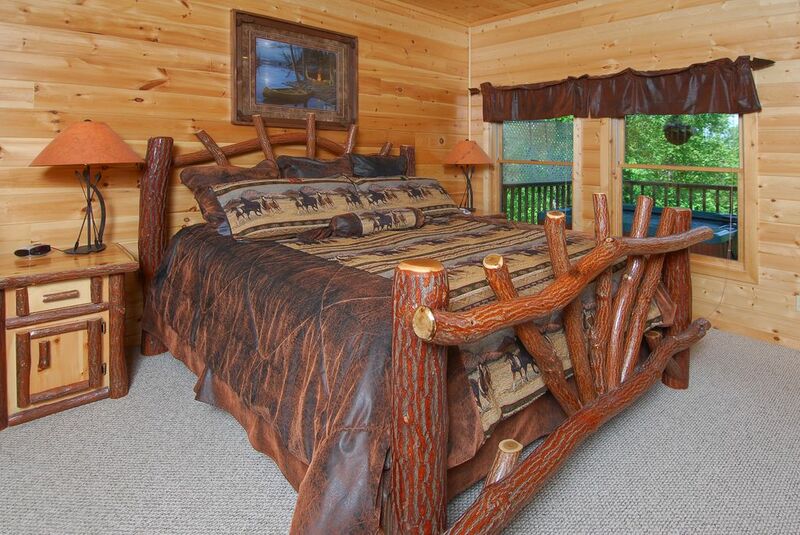 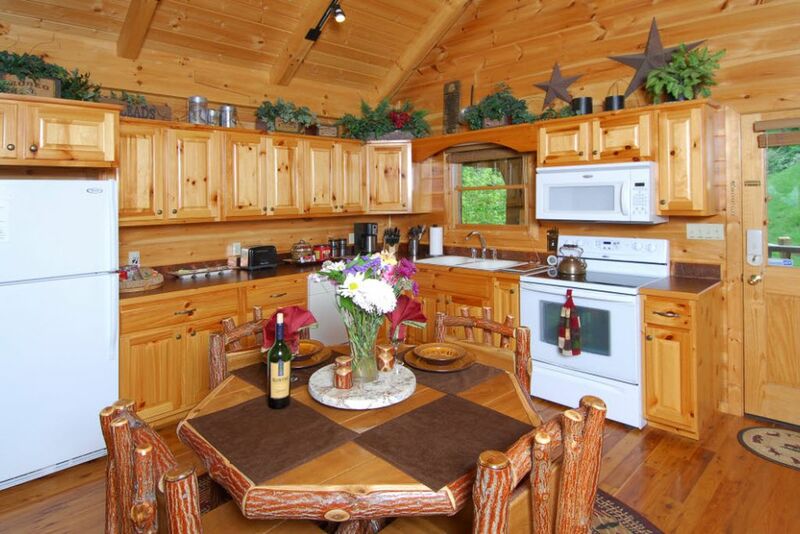 Catch the true experience of Pigeon Forge Cabin Rentals in The Great Smoky Mountains National Park at Mountain Getaway. 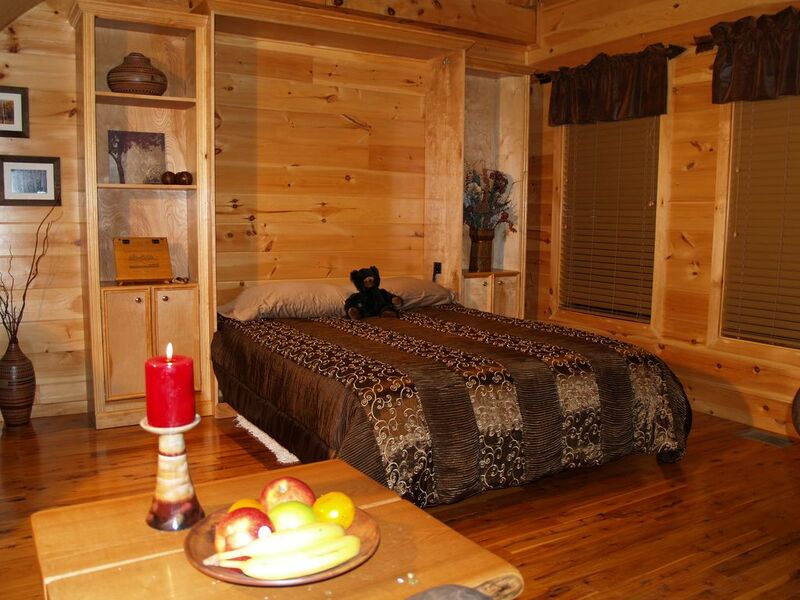 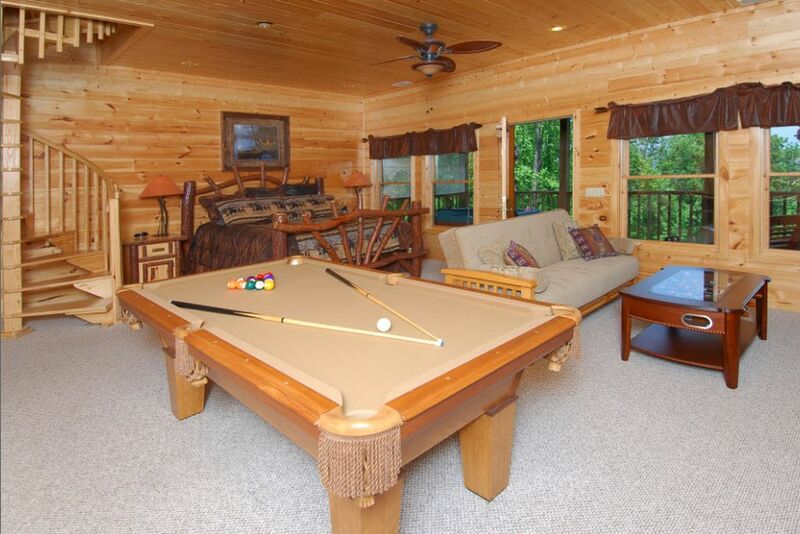 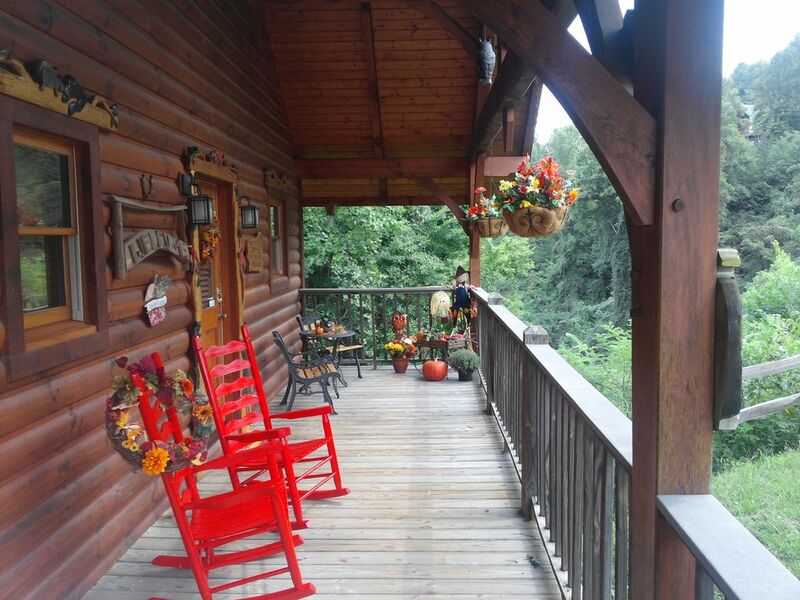 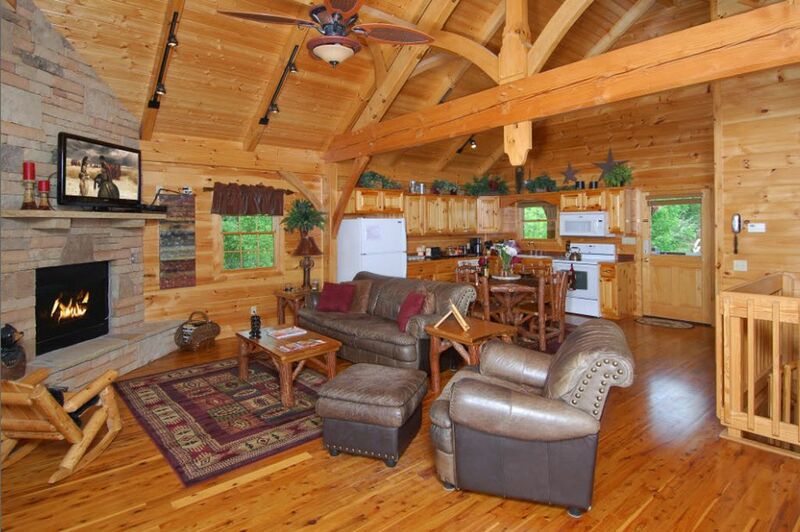 Ideally located just minutes from downtown Pigeon Forge makes this the perfect Pigeon Forge Cabin rental for a romantic getaway. 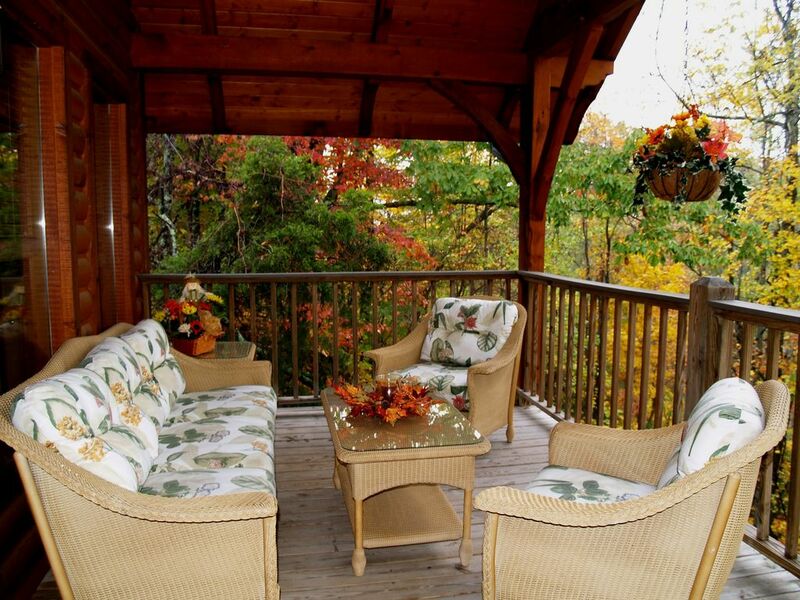 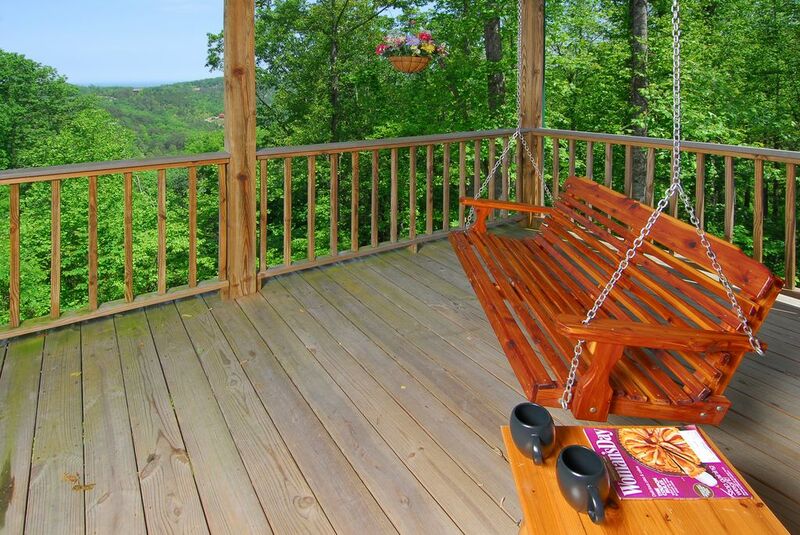 Enjoy the private, tranquil, wooded surroundings while enjoying spectacular views. 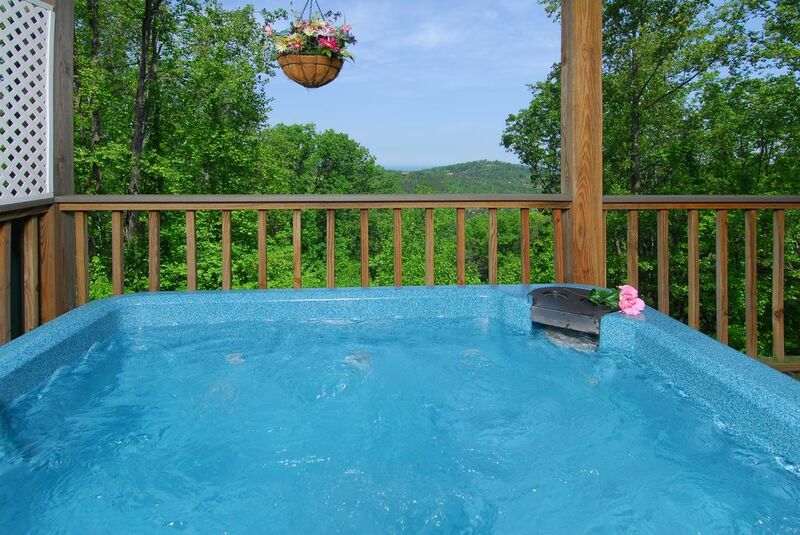 Snuggle up by the fireplace, or relax while soaking in your hot tub. 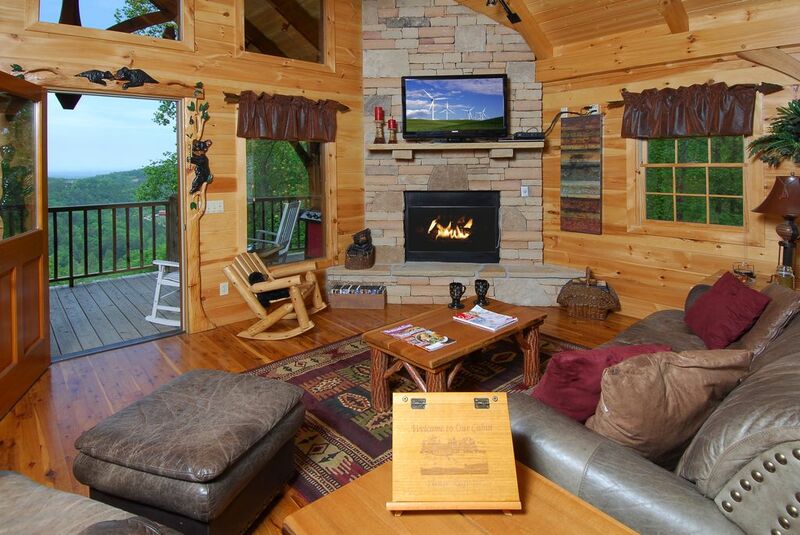 During the warmer months enjoy time with your loved ones sitting around the outdoor fire pit telling stories and roasting marshmallows. 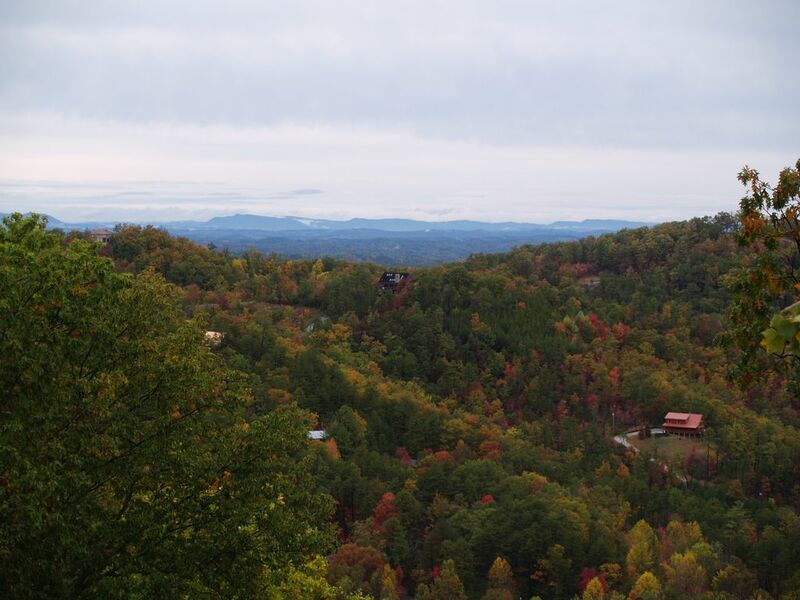 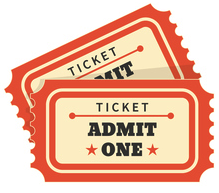 Spend the day at Dollywood and experience dinner like never before at Dixie Stampede. 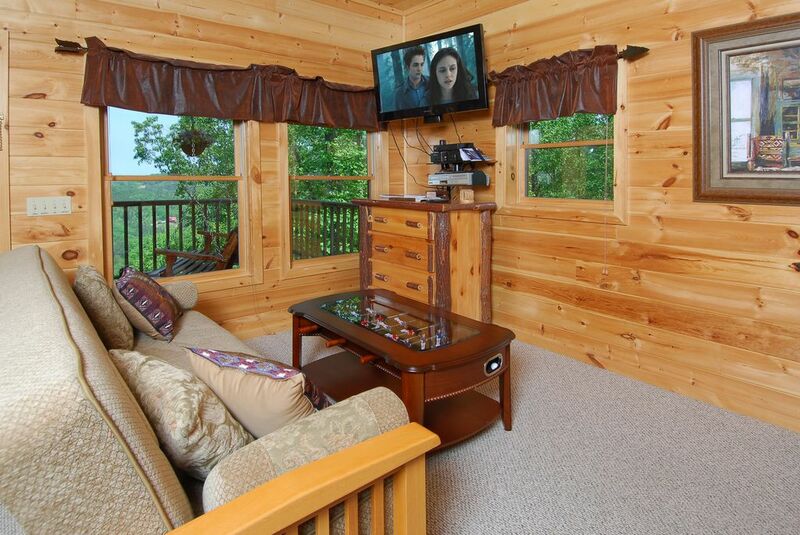 No matter what you choose to do during your stay in The Smoky Mountains, capture memories of a lifetime at Mountain Getaway. 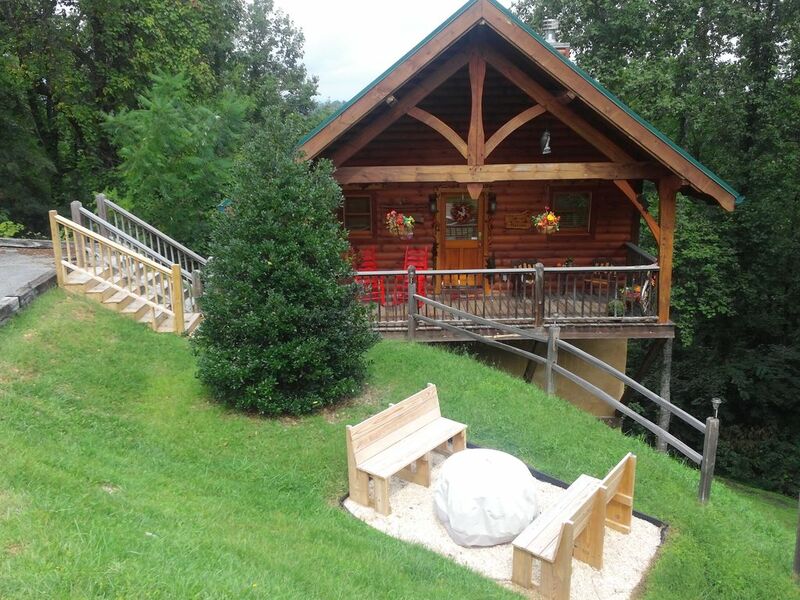  In season access to Honeysuckle Meadows Pool & Deli.